Our Photopolymer Stamps are simply AMAZING. 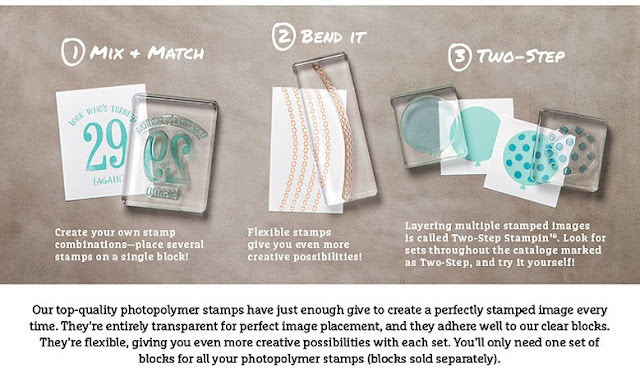 You can see where you're stamping and you can bend them to create any look you want eg. a straight sentiment can become a curved sentiment. You can view our selection of Photopolymer stamps in our Online Shop.